"Our move to Virginia Beach was handled through a corporate relocation which connected us with Prudential. We wanted to select our own agent as we've had several corporate moves and know it takes a certain connection with an agent to form the right partnership in finding a home. Laurin's name was on a list from a co-workers and her name was also suggested through a personal friend of a friend. We interviewed three agents and it was clear Laurin was the perfect match for us. Laurin is a good listener. She understood what we wanted and never pushed us in a different direction or try to convince us a house was "perfect" because she was trying to make a sale and move on to the next client. Laurin is honest. She didn't sugar-coat a particular issue or question / concern we raised. Laurin has an excellent knowledge of the market. After looking in Croatan, Birdneck Point, Bay Colony and the North End, we decided on the North End, a market where Laurin is very savvy and she was incredibly helpful in educating us on how this neighborhood has its' own unique real estate market. Laurin is patient, diligent and smart. We looked at many properties and she made sure we were always one of the first into a new listing, sometimes even seeing something before it was listed. We purchased a short sale property which was a new process for all parties involved. Laurin was a quick study, served as our "team quarterback", co-ordinating many people, and was always one step ahead, guiding us until we closed. Laurin was a wonderful resource and re-location advisor and quickly helped us navigate living in this area. We truly enjoyed working with Laurin, she is the best possible combination of professional and personable. Laurin is the consummate professional. 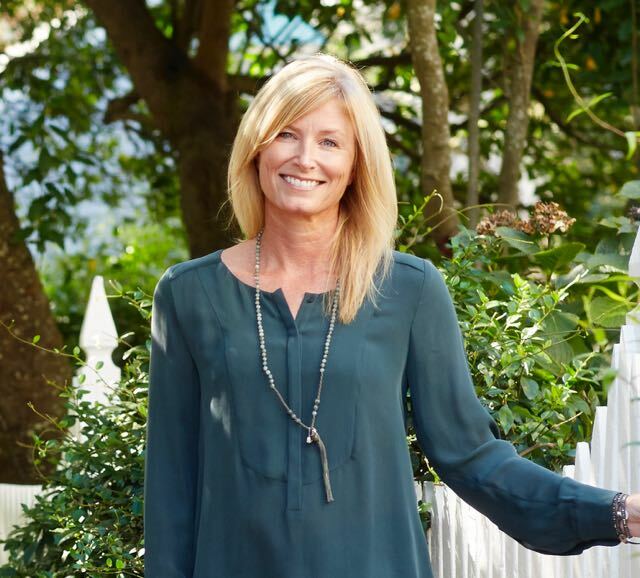 She handled every detail of the sale of our house to our utmost satisfaction including helping us set a competitive price, producing a beautiful marketing brochure, holding multiple open houses, helping us negotiate offers, even meeting with contractors to get estimates on repairs. Our house sold quickly in the dead of winter – a relief since we had an offer on another home! She even set up DocuSign technology so we could accept our offer while away on vacation. Since we both work, it was a relief to hand over all the time-consuming details involved in the sale of our home to Laurin. "We'd like to say thanks to Laurin for so efficiently marketing and selling our home. In an extremely slow market, she sold our house within the first month it was listed! We were very pleased with the professionalism shown to us during the entire process. Laurin is a very down to earth person and made the difficult task of listing and selling a house a pleasant experience. We've made a friend who we'd recommend to anyone needing her knowledge, thoroughness and service. In addition, she is one of the nicest agents we have ever dealt with. Laurin did and outstanding job for us!" "We were introduced to Laurin by a trusted friend in Virginia Beach to help our family purchase a home in the North End. We are happy with the end result which was the purchase of a home that matched exactly what we were seeking at a favorable price. That said, Laurin really exceeded our expectations during the acquisition process. We gained confidence that we understood the market when Laurin sifted through listings, met with other agents, secured tours of houses on short notice, researched information on potential properties and pulled from her established network in the area. She was always enthusiastic, knowledgeable and diligent. When we decided to make an offer, Laurin was meticulous during the contract negotiation, inspection and closing. From the start, we never felt pressured and as we worked together it was clear Laurin was acting in our best interest and committed to helping us. She added tremendous value and I would recommend her to anyone considering buying or selling real estate." Thank you very much for helping us sell our home in Bay Colony. John and I were very impressed with your professionalism, accessibility and commitment through the entire process. The quality of your service is unsurpassed. It was a pleasure working with you and we would highly recommend you to anyone who is interested in purchasing or selling a house in Virginia Beach.